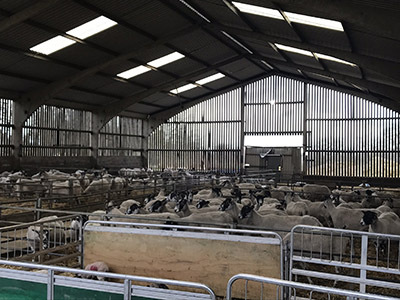 With lambing for the 2018 season drawing to a close this workshop will provide an opportunity to discuss opportunities for improving practice within the sheep sector. There will also be a chance to discuss specific management practices commonly applied in the organic sector and whether or not they could be adopted more widely. The workshop forms part of a Defra-funded project that aims to review and identify sustainable and agroecological farming practices, which are commonly adopted by organic farmers and likely to have the greatest adaptability and positive impact in conventional farming. We are specifically looking for non-organic farmers to take part. Throughout the remainder of the workshop, a range of organic practices will be presented for discussion. The workshops will identify costs and benefits associated with each practice, therefore objective opinions will be sought. There is no need to be supportive of organic farming in order to participate as a wide variety of perspectives and feedback are required. The Organic Research Centre (ORC) is leading the workshop whilst the National Sheep Association (NSA) has kindly agreed to help facilitate and contribute to the discussions.